Tax season is only a few months away, which means it’s time to start preparing your documents. Filling out the required forms and auditing your business’s financial transactions throughout the fiscal year feels daunting, especially if you’re processing and maintaining hard copies of all your records. Such methods are not only time-consuming, they often lead to a disorganized business cluttered with mountains of paper. If you want to have an easier time getting everything in order for tax season, implementing a cloud-based document management system (DMS) is the best solution. Here are several reasons why. How much time do your employees spend manually typing tax-related data into the company database? Depending on your company’s activity, they could easily spend more than 20 hours a week. DMS saves you a lot of time with optical character recognition (OCR) — a feature that extracts text from a scanned document and processes it into the system. This way, there’s hardly any human intervention required during the data entry stage, freeing up your staff to perform more crucial jobs. What’s more, OCR-enabled DMS can be configured to automate filing using machine learning. For example, you can set parameters that instructs the DMS to file invoices based on the month, vendor, and even amount. When your tax documents are centralized in a DMS platform, it’s easy to retrieve the ones you need for auditors. In addition to automated data entry, OCR makes scanned documents searchable, so if you’re looking for a specific form or revenue-related document, all you need is to type in a few keywords like you would with any search engine. Also, there’s no risk of losing track of your documents. The best DMS software keeps track of who last accessed a document, when they accessed it, and what changes were made, making the auditing process much less stressful. Managing how long you should retain certain records is crucial. According to the IRS, filed tax records should be kept for a minimum of three years for auditing purposes. The Generally Accepted Accounting Principles also suggest companies must keep files like AP ledgers and tax returns for seven years. 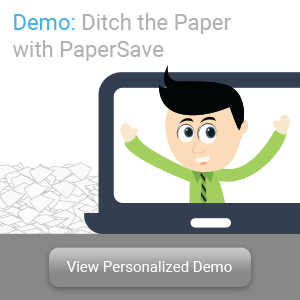 DMS software like PaperSave come with document life cycle management features that enable policies for document retention. You can set retention periods by document type and other conditions, helping you stay compliant with tax regulations. DMS software is great in that it allows you to selectively restrict access to documents. You can categorize employees into specific groups, each with its own set of access privileges. These restrictions prevent unauthorized users from viewing and modifying classified tax-related records. Another reason why you need DMS software is for its integration with third-party accounting systems like Intacct and Dynamics 365. DMS integration to such programs ensures database accuracy that results in better sales and tax calculations. 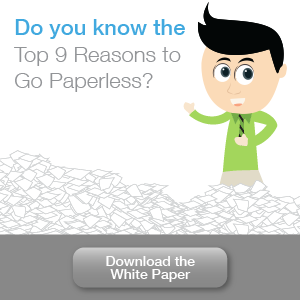 The cost of a few piles of paper may seem inconsequential to your business, but it can quickly add up. Don’t forget that there are other costs associated with paper, too. Such as, filing cabinets, folders, and printing supplies can be expensive when you have a vast archive of records that must be retained. Even worse are the labor costs of maintaining a paper-based filing system. Several studies show that filing a document manually costs $20 per document and that retrieving a misfiled document can cost businesses $120. 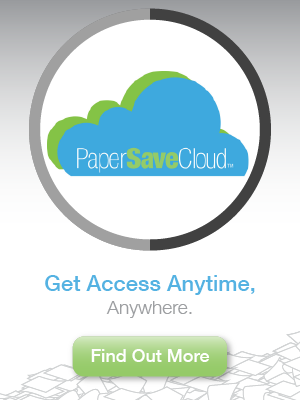 You save a lot of money not just during tax season but all year round with PaperSave. For an affordable flat monthly fee, you get top-notch features and support to run an efficient, paperless business. That’s massive value for your money, but if you’re not convinced that DMS will streamline your business, sign up for a free personalized demo to test our software.